Find the ideal gift for your loved ones! Looking for original gifts ideas ? Our experts have selected a large range of products for you to find the perfect gift! A square wooden teapot mat from Dammann Frères. Perfect to avoid damaging your surfaces. This Eclat gift box from Dammann Frères contains 4 x 30g tins of loose leaf flavoured black and green teas + an infuser. All presented in a lovely yellow gift box. 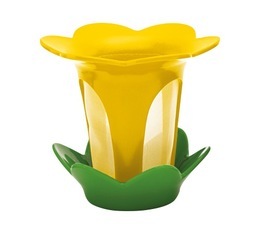 Discover this cute 400 ml cup made of borosilicate glass from the QDO brand. It has a tea infuser incorporated in the lid, presented as a little bird hanging. This set also includes a separate red birdie tea infuser. BPA-free. Special gift box with an assortment of flavoured black teas from French brand Dammann Frères. 20 individually-wrapped Cristal® sachets. 5 different flavours (4 sachets of each) : Goût Russe, Jardin Bleu, Paul&Virginie, Pomme d'Amour, Thé des Mille Collines. 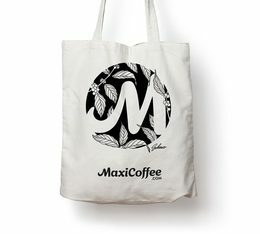 Beautiful authentic Hessian coffee sacks (empty) from various coffee-producing countries MaxiCoffee works with. The design is randomly picked for you.